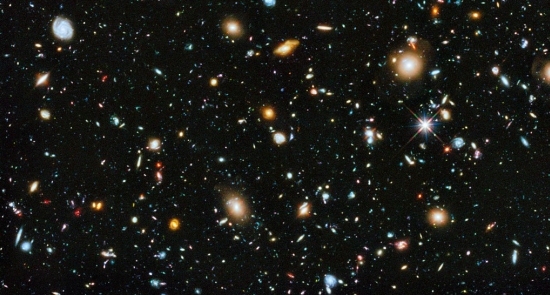 A portion of the universe as seen by the Hubble Space Telescope, using its full range of light sensitivities (ultraviolet to near-infrared). One of the things my Ph.D. advisor stressed over and over again is that there are two phrases any good scientist should be very comfortable saying. The first is, “I don’t know.” The second is, “I was wrong.” I have uttered both of those phrases throughout my career, and I am very glad that in this case, the scientists mentioned in the headline are wrong! So why do these scientists say the universe shouldn’t exist? Well, if you don’t want to believe in a supernatural Creator, you have to figure out where the universe came from. Experiments demonstrate that even empty space contains a certain amount of energy, and our current understanding of quantum mechanics says that it is possible for energy to spontaneously be converted into particles. This is often called a quantum fluctuation, and for those who don’t want to believe in a supernatural Creator, it is a way of explaining how the universe got started. Particles sprung into existence from the energy of empty space, producing the universe we see today. If this seems strange to you, don’t worry. You aren’t alone. As a nuclear chemist, I am well-versed in quantum theory and have no problem with the concept of particles springing into and out of existence in empty space. Nevertheless, the idea that this process can produce a universe is very strange to me as well, for a host of reasons. The MSN article linked above gives one of the most important: when particles spring into existence from energy, they must always be paired with their antiparticles. In other words, matter can, indeed, arise from the energy of empty space, but an equal amount of antimatter must be formed as well. Now wait a minute. Isn’t antimatter just something you hear about in science fiction stories? No. Antimatter is real. Indeed, I have done experiments with the antimatter version of the electron, which is called the positron. Those who are more focused on these kinds of experiments can produce antiprotons (the antimatter version of the proton) as well . They can even combine the positron (the antielectron) and the antiproton to make the antimatter version of a hydrogen atom! Antimatter is just as real as matter, and when matter is formed from energy, an equal amount of antimatter is formed as well. Primordial antimatter has so far never been observed in the universe, and its absence remains a major scientific enigma. In other words, we expect that an equal amount of matter and antimatter formed the universe, but all of the original “stuff” of the universe seems to be just matter. Where is the antimatter? As far as we can tell, it doesn’t exist. In order to “explain around” this serious problem, those who do not want to believe in a Creator tell us that the quantum fluctuation which gave rise to the universe must have produced a bit more matter than antimatter. Over time, the antimatter ended up colliding with the matter, destroying both in a process called annihilation, leaving pure energy behind. However, since a bit more matter than antimatter formed in the original quantum fluctuation, there was matter left over, and that matter is what makes up the universe that we see. Does this explanation sound a bit weak? It should. After all, antiparticles are supposed to be exact opposites of their particle counterparts. Thus, when particles form from a quantum fluctuation, just as many antiparticles should form as well. However, suppose there is a slight difference between particles and their anti-particle counterparts. This is called an asymmetry, and it might result in slightly more matter than antimatter being formed in a quantum fluctuation. This would allow those who don’t want to believe in a Creator to explain why our universe is almost exclusively made up of matter. That’s the reason for the MSN article’s headline. Lots of scientists have spent a lot of time studying the properties of particles and their antiparticles, and so far, no significant differences have been observed. In most cases, the experiments have been so sensitive that the particles and antiparticles have been compared to the level of a few parts per billion, indicating that particles and antiparticles don’t differ in their properties by even 0.000001%. However, not all properties of all particle/antiparticle pairs have been studied to that level of precision. Thus, those who want to believe that the universe sprang from a quantum fluctuation still have some hope. However, that hope dwindles with each new experiment. Indeed, the MSN article I am discussing reports on a study that was recently published in the journal Nature. That study compared the magnetic strength of the proton to that of the antiproton. Previous experiments had found equal strengths at the parts per million level, but this study increased the precision by a factor of 1,000. Still, the proton and antiproton were found to be equal in their magnetic strengths. I would have to strongly disagree with him. There may be some asymmetry between matter and antimatter. However, all the experiments so far indicate that if it exists, it is not significant. Thus, the most scientifically-reasonable position is that it doesn’t exist. Why does the lead author claim that it must exist? It’s certainly not because of the science. Perhaps it’s because of his preconceived notions of how the universe was formed. Why couldn’t God have created the universe with some kind of asymmetry? Why would that change the way Christians look at creation? I see and meet far too many Christians who have a hard time accepting the fact of how wonderfully intricate our universe is and how everything is pieced together by laws breathed by God. I’m not convinced that we will be able to find evidence of a miracle — something unexplained in the laws we find in the universe today. Things that cannot be explained probably at some point will be through science; but is that such a bad or unchristian thing??? 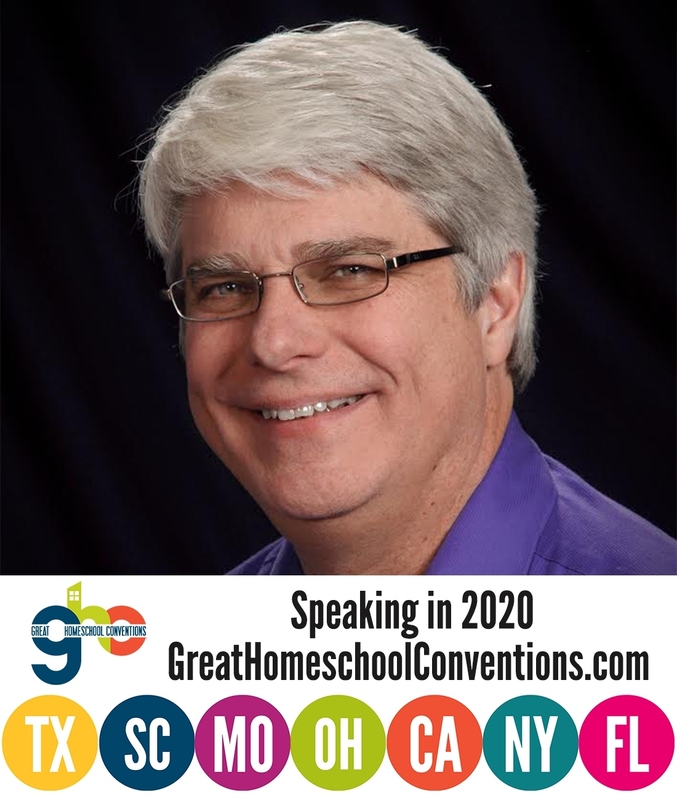 I used to be a creationist, this was my favorite blog, I was homeschooled, I loved reading your books and I really respect you as a educator. But the more I’ve thought about these things the more I see the wishful thinking, that there MUST be a miracle out there that we can find. This assumption clouds your thinking and from my experience makes you less open minded (something creationists routinely brag about not being). I don’t really have time to fully finish this idea but as a scientist (with several publications) i see this far too much among my creationist christian friends referencing stuff that has been “debunked” years ago. I doubt commenting on this will change anything but I just wanted to put this out there and hopefully we’ll be able to have an interesting conversation — because there’s a lot I can learn as well! Thanks for your comment, Seth. God certainly could have created the universe with some kind of asymmetry. It’s just that when we study particles and their antiparticles, we don’t see any asymmetry. Thus, the most reasonable scientific conclusion is that it doesn’t exist. The only reason someone would say that it must exist (as the lead author on the study does) is because it is required for his view of the origin of the universe. I am not sure why you think creationists believe that there “MUST” be a miracle out there that we can find. I certainly don’t think that at all. Science doesn’t look for miracles. It makes testable predictions and compares them to the data. I am also not sure what kind of creationist you are used to, but none of my creationist friends or colleagues “brag” about not being open-minded. Indeed, I find most creationists to be more open-minded than most evolutionists. After all, as a creationist, I could believe in evolution. That could have been God’s method to create. I could also believe in other origin scenarios. Most evolutionists are not willing to consider other origin scenarios, so I find them to be more closed minded than the creationists I know. I would be interested to meet these Christians to which you are referring, Seth, because I’m quite certain that many Christians have a much easier time accepting that fact than any Atheist! To me this sounds a lot like Lucretius’ “Clinamen.” I think the propensity of anti-theists towards ideas of disharmony or imbalance is more interesting in light of the fact that it was being posited by philosophers as early as 55 BC. Henry Morris touches on some of this in The Long War Against God. In the article, Wilson demonstrates how objectivity in science is inherently impossible, due to the nature of the scientific enterprise itself. I feel it should be required reading for all STEM undergrads. I recently discovered First Things, and have basically been devouring its web content. These were good. What I’d like to see is how far back this affects the big bang timeline. Not being a particle cosmologist I don’t know how fixed the various events in the timeline are supposed to be. To me it seems like not the most difficult thing to just appeal to beyond-standard-model physics, since (i) the big bang requires it, and (ii) we believe beyond-standard-model physics is a thing. QUESTION: Can’t find an answer hope you can help. What exactly was the creation event like? Was it everywhere at one time creating the 100’s of millions of galaxies? Was it a single point that expanded everywhere? Is the cosmos a 360-degree result of a single point origin? From a creationist point of view, the creation was a single event, and the expansion is 360 degrees from a fixed point. That point can’t be the earth’s solar system, because the earth’s solar system isn’t fixed. However, earth’s solar system is near the center of the universe. A good book on that point of view is Starlight, Time and the New Physics by John Hartnett. Cosmologist should learn the phrase “we don’t know”. As in they don’t know how the universe came into existence. In the past, it was common to believe that the universe had always existed. With the Casimir effect experiment it seems like they are implying that space isn’t an empty vacuum sparsely filled with galaxies. I’m probably interpreting it wrong. By the way, I am a huge fan of your blogs! I learn something new with every single article you post. Some of your blogs have changed my viewpoints on certain topics. Thanks for your kind words, Kenyatta. The Casimir effect simply demonstrates that even empty space contains energy and therefore virtual particles appear with their antiparticles and then disappear again. So what it is saying is that even a region in space that is devoid of all gases, dust, planets, etc. still has particles and antiparticles appearing and disappearing.